EquipmentWatch, has relaunched its Software-as-a-Service (SaaS) platform ideal for the heavy equipment industry. Penton’s EquipmentWatch, the world's leader in data, insights and workflow tools for the heavy equipment industry, has relaunched its Software-as-a-Service (SaaS) platform at EquipmentWatch.com. It includes broad equipment coverage across the construction, lift/access, agricultural and commercial truck markets, for everyone involved in the equipment lifecycle. The new platform builds on what is already the most expansive database of historical equipment information with new insights into relative asset utilization, transparent pricing data, value and rental rate trending along with an overall improved interface. New workflow tools have also been introduced to speed the cost recovery process between contractors and project owners, mitigate risk and improve portfolio management for the finance community, and easily allow for the import and export of data for use in other software systems. 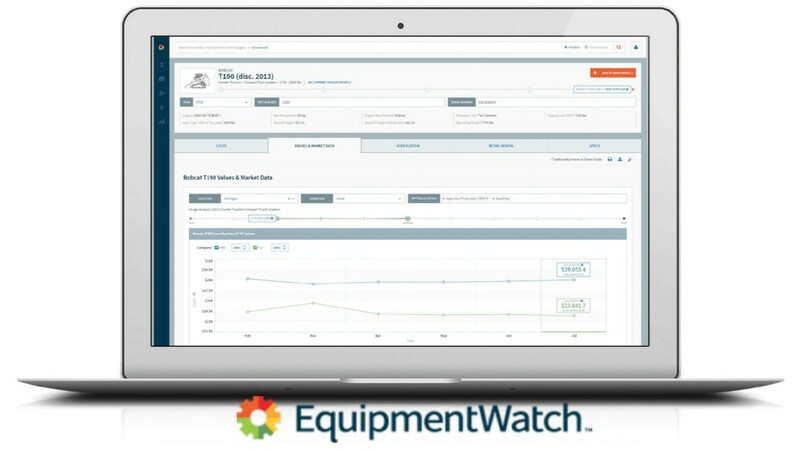 EquipmentWatch.com offers a number of platform subscriptions based on each user’s needs: Equipment Manager, Estimator, Renter/Seller, Finance and Insurance. These subscriptions also offer exclusive access to the complete versions of popular reports such as the new EquipmentWatch Market Report and the annual Residual Values Report. Select content is made available for free, including blogs and podcasts with the latest market information and insights. A new resource library with product guides, tutorials and terminology explanations is also available to further simplify use.